Some Catholic schools in Waterloo region are adopting a restorative justice approach to resolving student conflict, as opposed to suspensions. Rather than immediate suspension or using detentions, some Catholic schools in Waterloo region are choosing to sit students down for a frank conversation instead. St. Benedict Catholic Secondary School in Cambridge is one participating school in an approach they call "restorative justice," where a mediator is brought in to help get to the root of conflict. 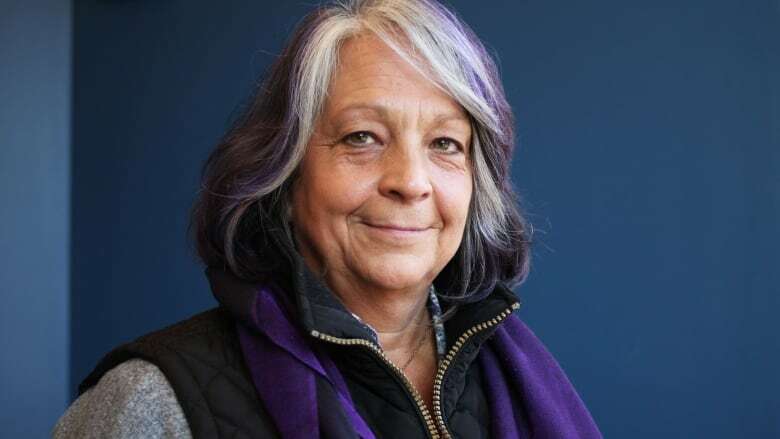 "It's learning how to be in relationship with somebody," said Shelley Schanzenbacher, restorative justice practitioner at Community Justice Initiatives Waterloo Region. She works with students in the schools as a mediator. "Sometimes what happens is those situations begin to escalate, because they never get put to bed," she told Craig Norris, host of The Morning Edition on CBC Radio. The new approach was first introduced at St. Benedict late in the 2016-17 school year, and was officially put into practice for the beginning of the 2017-18 school year. Dan Witt, the principal, said physical conflict and suspension rates have dropped since using restorative justice. Compared to 2015-16, "conflicts of a physical nature" decreased by 74 per cent in 2017-18 when looking at the first semester for both years. Total first semester suspensions decreased 44 per cent this school year compared to 2015-16. "The category of conflicts of physical nature would be one category where we feel the proactive work of conflict mediation has positively impacted the number of suspensions," he said in an email. It's important to note that mediation is not something students can choose to do over being suspended, said Witt. "It's not a negotiation piece," he said. "You don't want the mediation to be a coercive strategy." Students first sit down with the mediator to talk one-on-one about what had happened, what's been going on behind-the-scenes and how they feel. Then they sit down with other students involved with the mediator to try to come to a resolution. "It gives voice to each party and it gives an opportunity for each person to hear about, how did that feel when you said those things to me," said Schanzenbacher. Even though it might seem like students are being let off easy because they're not punished, she said mediation is actually a very difficult process. Students have to face the person they might have done harm to and take ownership of their actions, and sometimes that person is someone they might have had a history with for some time. "And so that has an imprint on you in a way that will inform how you show up in the rest of your life," she said. Letting students have the chance to get to the root of issues, said Witt, can help prevent those "low-level drama" situations from resurfacing or escalating into something much larger, and "really just be a drain on resource and time" because the issues are never fully resolved. In the new approach, "they're not always necessarily going to be friends coming out of the experience, but there'll at least be a better understanding and a closure to the issue," he said. While the effects of the restorative justice approach can't be seen in the classrooms yet because it's so new, Schanzenbacher said the administrators are changing. "They're starting to shift their perspective," she said, "And culture shift is hard." Before restorative justice, schools for a very long time have used punitive measures to control conflict. But now teachers, principals and policy makers are seeing how students can learn important skills from a bad situation that can help them for life, she said. When more of them begin to see the benefits, the way schools operate will begin to change. More elementary schools and secondary schools in the Waterloo Region Catholic District School Board are wanting to become involved. And Schanzenbacher hopes to see the public board being a part of it as well. "There's a lot of work ahead, this isn't going to happen overnight," she said.